In light of the horrifying events which devastated the entire world last night in Paris, there is only one suitable track of the day today. “La Marseillaise,” the French national anthem needs to be on everyone’s mind today. With so much heart wrenching devastation, we need to stand hand in hand with our French brothers and sisters in a sign of solidarity. The only words I can find to describe yesterday’s events are tragic and senseless. These insurgents sought to terrorize the citizens of Paris in their most jovial of settings, by targeting a soccer match, shopping mall and concert hall. This is not an issue of religion, this is an issue of standing together against the deranged elements of the world who would seek to tear us apart. However, we cannot let evil win and we must show that as a global community we will always persevere. Like the soccer fans in the video below, sing or play this song as loudly as you can today. Please direct all your prayers to those affected by these attacks and send any messages of love and comfort that you can. 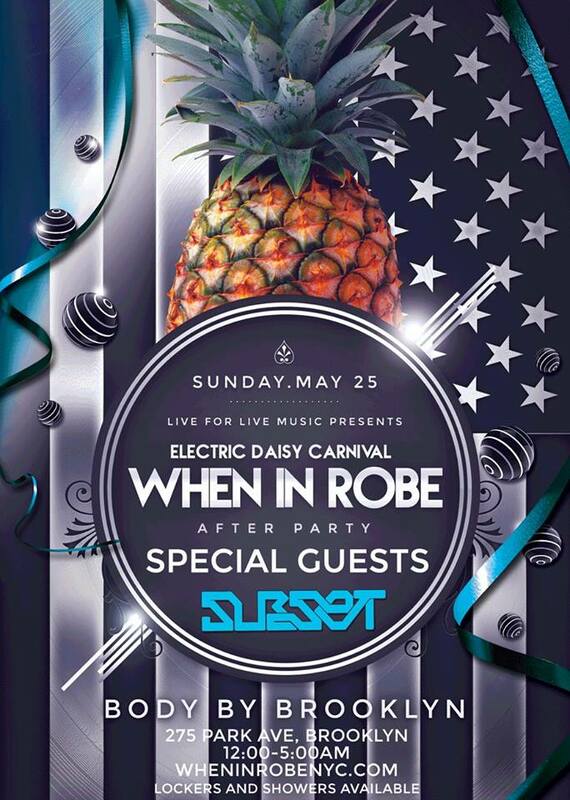 [Event Preview] When In Robe: EDC Afterparty!